Tony was raised in the Diné traditions by his grandparents. Their teachings have led him to both a B.A. and an M.B.A. in business from Northern Arizona University and a fulfilling career. As Native America Program Director, he leads efforts to create and strengthen sustainable local community-based economies. 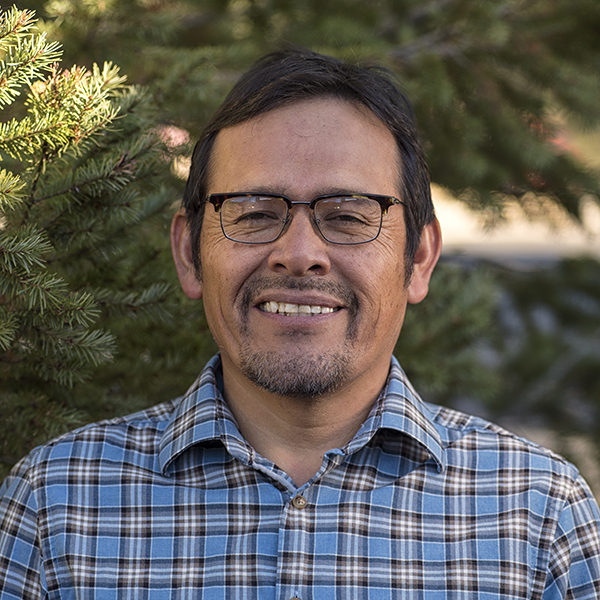 He also manages the Colorado Plateau Intertribal Gatherings to reinvigorate the use of traditional knowledge of ecology as a guiding force to preserve land and mitigate the impacts of climate change on tribal communities. It is very important, very necessary at this time that we humans return to a child-mother relationship … By talking to [Mother Earth], by being with her, by giving thanks to her. By crying to her when we need her nourishment. As long as we learn again and practice again, [to have] a good relationship with Mother Earth, there is hope that we may continue being here.